• Exoskeleton, integument, musculature, and glands. • Sensory structures, central nervous systems, and neuroendocrine systems. • Circulatory, respiratory, visceral, and excretory organs. • Reproductive systems, organogenesis, and repair. • Embryology, pattern formation, and development. 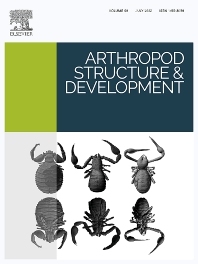 • Comparative morphology from the phylogenetic perspective.